When you are feeling down or stressed, gathering the energy to reduce negative emotions may seem like an impossible task. However, you don't have to make major changes to your daily routine to turn your mood around. In fact, according to takingcharge.csh.umn.edu, committing to one small change a day is enough to boost your emotional well-being. When your emotional well-being suffers due to stress or anxiety, you may have a higher risk of experiencing health issues, such as a weakened immune system or a sleep disorder. You're also more likely to stick to bad habits, like snacking on unhealthy foods or avoiding exercise. These habits may lead to an increased risk of developing a serious condition or experiencing complications from an underlying medical condition. Boosting your emotional well-being can also help you manage an existing medical condition, such as diabetes, according to diabetes.org. It may also lower your risk of having serious conditions and health issues. This, in turn, improves your quality of life overall. Why is it more effective to make one small change per day instead of giving your life a full makeover? Motivation is the main reason behind this. When you start small, instead of going big right away, you're more likely to achieve the goals you set. As you do this day after day, you may start to feel more confident about your ability to succeed. Since these smaller changes aren't difficult, it's also easier to maintain enough motivation to keep going. If your goal is to exercise to help clear negative thoughts and improve your mental state, you might start by going for a 30-minute walk every day. As you get used to exercising, you can switch to a more challenging workout or take longer walks. If you start with a goal to run for a mile per day or do a strenuous workout, you're less likely to reach it. That means you'll also be less likely to continue trying to pursue it. Focus on gratitude: When you set aside time to think about what you have to be grateful for, this can result in a mind shift toward a more positive outlook. It's easy to take these things for granted, especially if you've been distracted by stress or anxiety. Practicing gratitude can be as easy as thinking about three things you're thankful for when you wake up in the morning or before heading to bed. Change your routine: Your mind can get into a rut when you do the same thing day after day. Make a commitment to change your routine in a small way each day in order to avoid this. This might mean taking a different route to work one day and trying out a new recipe the next. These small changes stimulate your brain, giving you more mental energy. Start your day in a positive way: Make it a goal to start your day off doing one thing you really enjoy. 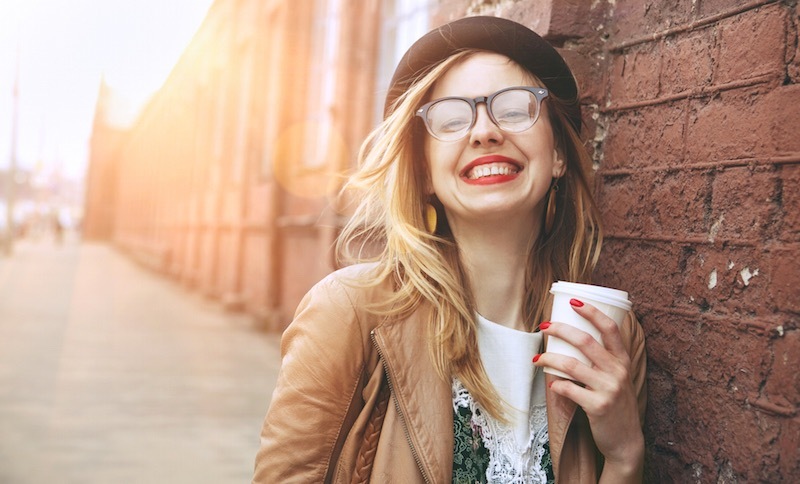 Whether it's doing a bit of leisurely reading or listening to your favorite song; this helps you start your day in a good mood and sets a positive tone for the rest of your day.